As it has grown in popularity medical curiosity has sought to scientifically establish how acupuncture actually works. When I look at how the majority of practitioners explain acupuncture the term ‘Qi” (pronounced “Chi”) is widely used and described as the body’s energy. Blockage in the flow of Qi (energy) is considered the cause of pain. To a westerner this somewhat intangible concept of Qi (energy) is not readily understood and thus acupuncture can potentially be discounted as a beneficial therapy. At Acupuncture Richmond I explain acupuncture in terms of actual western biological physiology and anatomy. 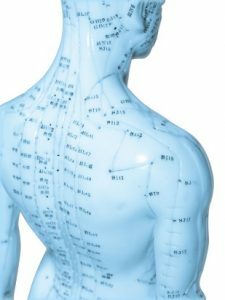 A more tangible approach ensures you understand the influences acupuncture can have on your body and therefore recognise the role treatment will play in restoring you to health. From my perspective Qi is actually oxygen. We all know that for our body to be vital and healthy all our cells, tissues and organs need an adequate and consistent supply of oxygen. The blood circulation system is the means by which your body delivers both oxygen and nutrients to your body’s tissues (organs, skin, muscles, joints..). In Chinese medicine the meridian system carries qi throughout the body. Actually, the meridian system is the capillary beds (micro-circulation) that exist all over the body. 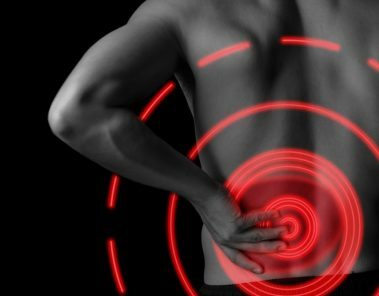 So when you feel pain there is really a problem with the proper flow of blood through the micro-circulatory system to the tissues in the region of pain. In many cases this blockage is inflammation. When tissues do not receive sufficient nutrients and oxygen they will deteriorate over time and release pain messages to let you know something is wrong. Stimulating an acupuncture point at or in most cases away from the region of pain has the effect of establishing proper blood flow and thus reducing pain. The establishment of proper micro-circulation will also allow for your body to repair the damaged/painful tissues much faster and more thoroughly. How does inserting an acu-needle into the body restore health and treat disease? Acupuncture specifically treats impaired blood flow in the body, which can lead to pain and/or organ dysfunction. Your health and vitality is determined by the functioning of the vascular (blood vessel) system particularly the micro-circulation (capillary beds). If blood flow is impaired there is greater chance of developing pain or disease. Additionally, the body will not heal without proper blood flow. Acupuncture facilitates the opening up of the blood vessels and causes an increase in blood flow. Acupuncture’s therapeutic effects do not stop there. Acupuncture not only restores optimal blood micro-circulation. It has other beneficial effects that function to reduce your pain even faster. If you have any questions or would like treatment for a particular pain or health condition contact us. Andrew is here to help you.